Beat the light – hit as many lit targets as possible within timelimit! Play alone or with friends! LightHunter is a gaming platforem to improve your reflexes and coordination. 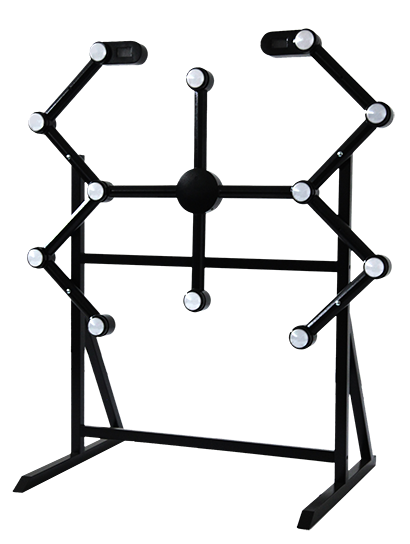 LightHunter is 12 targets on a stainless steel construction and a simple game - once a target lights up, you have to hit it as fast as possible. Not only fun, but healthy as well. LightHunter is a broad use device - from entertainemnt and leisure, to marketing, schools, children centers to proffesional sportsmans, who can benefit from faster reflexes, better coordination and improved peripheral vision. LightHunter is made in Czech Republic - both internal electronics and the stainless steel construction is made in CZ. This is a guarantee of highest quality product. And by buying LightHunter you boost domestic European economy. LightHunter is high durability - stainless steel construction can last for decades. And while not everything can be made to last such long, we made repairs as simple as possible. You can fix LightHunter with just basic tools and get parts in eletronics stores across the globe. LightHunter is both fitness and fun in one. Improving reflexes, coordination, stamina and peripheral vision. The ability to react instantly is the key. Once you see the light, you have to hit as fast as possible. Playing for longer periods of time (5min+) or using the endurace mode is a great cardio workout. You have to stand very close to be able to hit the targets fast, which means you can only see them with peripheral vision. No longer is only fun during workout listening to MP3 player. 2 player mode allows to 2 players to play at once, each using half of the construction. LightHunter is made of stainless steel - not only looking good, but also lasting. Nothing is umbrokeable, but we made repairs very easy. Time limit, reactions limit can be freely adjusted - play for 30sec or 30min, it's up to you. 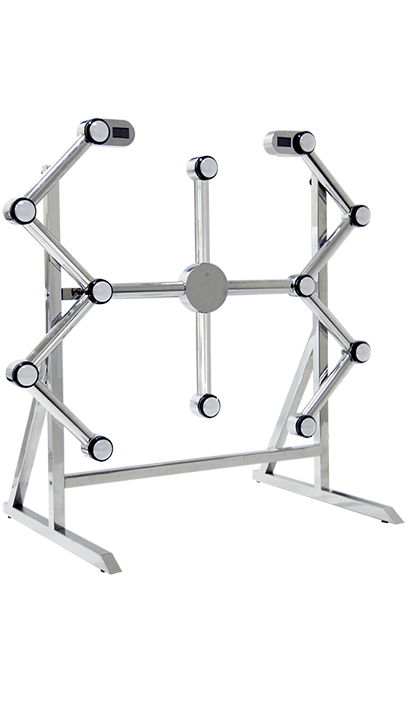 Frame can be mounted on the free stand in two possible height levels. One for children and one for adults. Wall mounting is also possible with LightHunter. LightHunter takes only 2x2 meters of space to operate. Or 2x1 when mounted to a wall. We can change color, dimensions, gaming functions, add branding ... and build one custom machine just for you. 3 Games are available. All can be configured. All can be played in both 1 player and 2 player modes. Basi game, a target is lit up and player has to hit as soon as possible. Fixed time limit - 30sec for intense training, 5-15 min for cardio. Same as hunt, but also with reaction time limit. If you fail to hit target in time, the light will jump to another target. Game withnout a time limit, only with reaction limit. Game goes on as long as player is able to hit buttons in time - typically 1 to 2sec. LightHunter was designed to earn, we cut the production prices pretty low to enable you to make profit. We're glad that LightHunter got your attentions. Please contact us to make next step. Oops! Something went wrong. Please send an email or call us.